Open 6 days per week including Weekends and Public Holidays! The Scuba Doctor Online Dive Shop is open 24 hours per day, 7 days per week. Please note: The dive shop is usually Closed on Tuesdays. 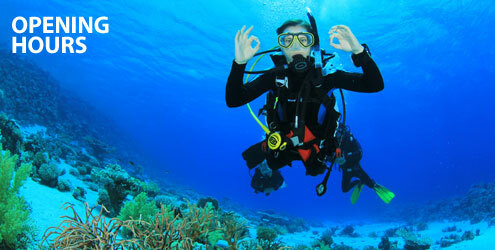 Of course, you can always call on 03 5985 1700 to check if the dive shop is still open. 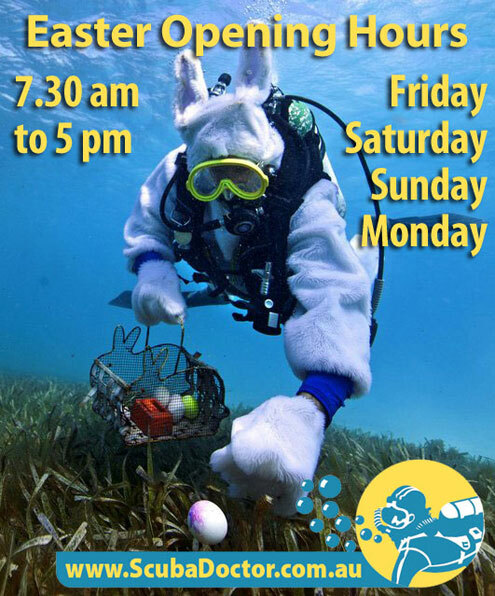 The Scuba Doctor Dive Shop will be Open Easter Friday through Easter Monday from 7:30 am to 5:00 pm, or later if busy. The service centre is Closed on Tuesdays and Wednesdays. Please note: The Scuba Doctor Service and Repairs centre may close early on weekends and public holidays if adverse weather conditions exist. When the service centre is closed, cylinders and dive gear can still be booked in at The Scuba Doctor Dive Shop next door. Of course, you can always call on 03 5985 5440 to check if the service centre is still open. When life gets complicated, I dive.